A name well chosen should convey the product’s principal benefit, which is why we named ours Zoë. Translated from Greek, Zoë means life, and an energy filled, healthy life is what we want for every pet. That’s why our pet food products are packed full of nature’s “good for them” ingredients. 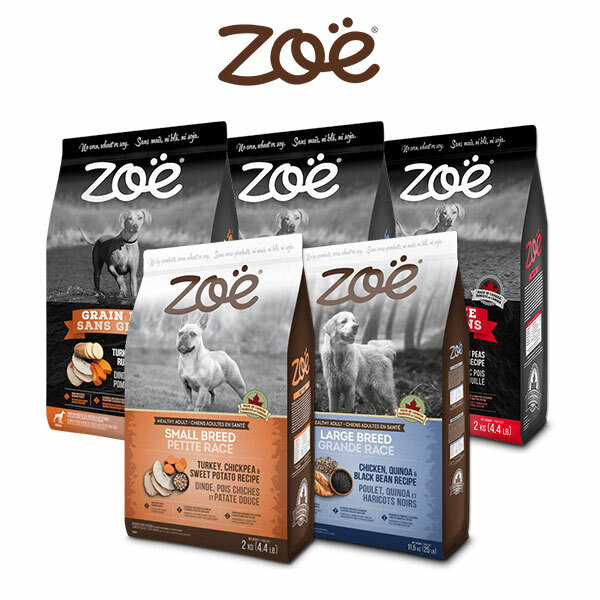 Zoë, natural pet food products for a healthier, more active, fun-filled life. For some people life is about how much they have going on. To us it’s also about life’s simple pleasures, like the time you take with your dog or cat. The kind of moments that show them how much you love them so that they can love you back. And love is what Zoë is all about. Pure and simple food with natural ingredients that come in a variety of fun flavours your pet will love. Mix them up so your pet doesn’t give you the “I’m bored look” at mealtime. They’ll love you for it. Make it good. Make it healthy. Make it with love. Make it Zoë.